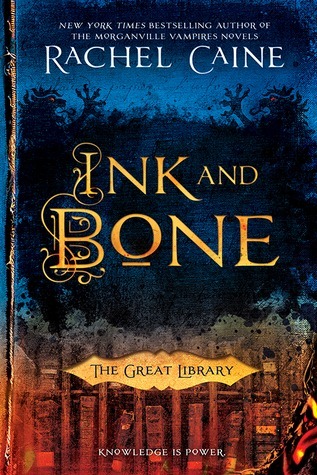 #THROWBACKTHURSDAY: Ink and Bone by Rachel Caine + GIVEAWAY! If you follow this blog you also probably know by now that Ink and Bone by Rachel Caine was one of my top reads of last year, since I can’t seem to stop raving like a lunatic about this book and shoving it at everyone I know. Well, too bad, because I’m far from done! As an avid reader, I of course find it difficult to argue with the importance of knowledge. But to place its value above human lives? This should clue you in to the kind of place our protagonist has landed himself, and even with his book smuggling background, Jess is unprepared to learn about the corruption at the heart of Alexandria, or just how deep it lies. Once I started reading this book, I just couldn’t stop. It has raised the bar for the YA I’ll read for the rest of the year. But it doesn’t matter whether you’re a teen or an adult. Ink and Bone is for everyone, and a must-read for all who treasure the gift of the written word. A perfect mix of breathtaking fantasy and edge-of-your-seat dystopian fiction, this is a masterfully written novel guaranteed to hook you in. As you can imagine, I’m crazy excited to be presenting a giveaway for one of my favorite books ever. The BiblioSanctum is pleased to be hosting one print copy of Ink and Bone, up for grabs to one lucky winner. The giveaway is open to residents of the US. To enter, all you have to do is send an email to bibliosanctum@gmail.com with your Name and valid Mailing Address using the subject line “INK AND BONE” by 11:59pm Eastern time on Monday, April 4, 2016. I have this – I’ve had it for ages. OMG !!!!!! why? I just need some more time in my life – instead of which, this weekend – the clocks change and go forward an hour – thereby losing an hour – right there! Losing 1 full hour!! An entire hour. It’s just going to disappear – if it’s so easy why don’t we just keep putting the clocks back an hour and gain some time! Oh well, I suppose I just have to accept it. But. boo! I will read this very soon. Yes, why, Lynn, why?! You just gotta make time for this one, you gotta 😀 But I know what you mean about the time change. We had ours recently, ugh, it’s weird because I never used to get so strung out after losing an hour of sleep. It seems like such little time but it took me days to get used to. I am getting old! I not eligible for the giveaway but I received this off NetGalley this week and I’m REALLYREALLYREALLY excited to read it – I remember seeing great reviews of it and reading yours is just a bonus because I know you rarely give books 5 stars. I missed you review of it last year (because my blog wasn’t born yet :p) but this sounds great! I won’t be able to participate to the giveaway (sometimes I just wish I could move to the States, it would make my life easier haha) but I saw it on Netgalley so I am going to request it!